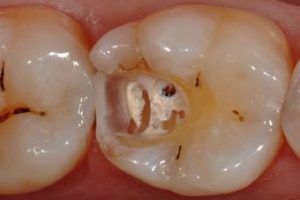 When the cavity caused by caries or unsightly amalgam is of a small seize, the teeth is restored by the placing composite materials. 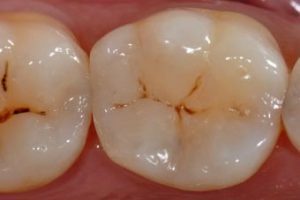 The dental composite is a resin of the color of the tooth, glued with a specific adhesive. It exits with different colors, similar to the different colors of teeths. The treatment consists at cleaning the infected tooth, then to perform a filling using composite material. The esthetic and masticatory functions of the tooth are restored for about ten years. Formerly discouraged on the posterior teeth as it retracted, the dental composite is now perfectly sealed to avoid the risk of cavities renewal. It requires , however, alonger and more rigorous implementation than the amalgam. When this technique is well mastered, the aesthetic result is optimal with a reconstruction that is similar to the natural tooth.